Automated free tools always make life easier. It doesn’t matter if you are an expert at SEO or a newbie. By successfully using the tools below, you’ll be able to concentrate on what you do best, instead of wasting time with the tedious work. Below are some great tools that I recommend. 1. Website Grader by Hubspot – Website.Grader.com is a free SEO tool that measures the marketing effectiveness potential of a website. It provides a score that incorporates elements such as website traffic, SEO, social popularity and other technical factors. It also provides some basic advice on how the website can be improved from a marketing perspective. 2. Content Duplication finder by Virante – Virante’s content duplication tool can diagnose common causes and effects of duplicate content penalties such as server headers, Google index issues and more. 3. Builtwith by Gary Brewer – BuiltWith.com is a website analysis tool, providing technical analysis and SEO optimization information to assist in your website’s SEO effectiveness. 4. Quarkbase – Quarkbase.com is the great way to find website information including social bookmarking stats, Alexa ranking, related sites and domain information. 5. Yahoo Site Explorer is a fantastic tool for basic back link information, to view the most popular pages from any site and to dive into a comprehensive site map. 6. Google Browser by Touchgraph – TG Google Browser is a free Java application which you can use to explore the connections between related websites. 7. 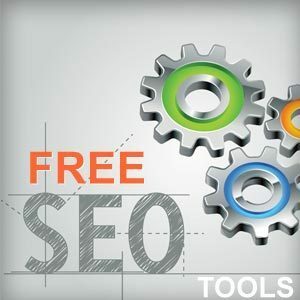 SEO Browser by Anduro Marketing and McAnerin International Inc – SEO-Browser.com is a free tool which lets you see your website like a search engine sees it. Useful to find image with no alt text, to ensure drop downs are crawlable and much more. 8. Image Analyzer by Juicy Studio – Image Analyzer will highlight images without alt text, long image names and much more. Because image optimization is essential for successful SEO, image analyzers are an absolute must. 9. Server Header Checker by SEO Consultants – Server Header Checker allows you to analyze your non www homepage version and other pages to check that the server header is returning a 301 redirect response, 200 OK response etc. 10. Popuri by Xavier Larrea – Popuri.us allows you to quickly check your link popularity across social bookmarking sites, Google Page Rank and much more. I just started getting into this type of marketing, finally setup a Webmaster account. Love the info on your blog. Thanks for the list, I havent seen some of these. I always thought there would be that magic tool that does it all… but havent found it yet.